Along with marijuana, prescription drugs and heroin, cocaine is still one of the most commonly used recreational New Jersey. Unfortunately, most individuals who use cocaine are not aware of the fact that mere possession is, at minimum, a third degree indictable felony offense. This means that possession of even a gram of cocaine carries up to five (5) years in a New Jersey State Prison. Notwithstanding, these criminal penalties, a conviction for cocaine possession also carries with it a felony criminal record. For young adult and executive professionals, a criminal record for drug possession can have devastating repercussions. Professional licensing boards have been known to suspend or revoke licenses and certifications in certain instances. To speak to one of our Burlington County criminal defense lawyers, contact our office at (609) 850-8284 today. Whether it was you or a family member that was charged with cocaine possession, it is crucial that you consult with an experience drug possession attorney. Our firm has handled drug cases involving cocaine distribution, heroin distribution, marijuana possession, marijuana distribution, prescription drug distribution and being the leader of a drug trafficking network. If you were arrested in Mount Laurel, Evesham, Pemberton, Bass River, Florence, Bordentown or Burlington Township, then your case will be handled by the Burlington County Superior Court and Burlington County Prosecutor’s Officer. For a consultation about case and more information on whether or not you were subject to an unlawful search or seizure, call (609) 850-8284. N.J.S.A. 2C:35-10 sets forth the law regarding cocaine possession charges in New Jersey. Specifically, under N.J.S.A. 2C:35-10a, the Burlington County Prosecutor’s Office must prove that the accused defendant either knowingly or purposely obtained or possession the controlled dangerous substance of cocaine. If the State can prove this act, then a judge or jury will potentially find you guilty. 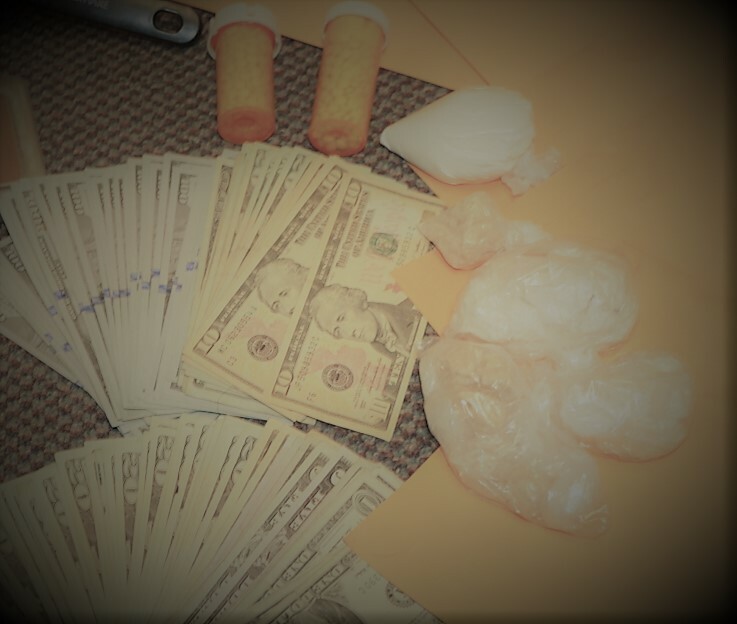 Beyond proof of possession, the Burlington County Prosecutor will be required to send out any controlled dangerous substance that was recovered during the arrest to a license lab technician for testing. These testing procedures must comply with New Jersey’s scientific reliability requirements and could be subject to suppression based on faulty techniques or chain of custody issues. Can I Get Charged for Cocaine Possession if the Drugs Were Not On Me? One of the most common scenarios for any drug possession case involves a group of people and only one “bag”. In those situations, unless one person cops to ownership, the police charge the entire group with a legal concept known as “constructive possession.” Here, constructive possession exists if the State can prove that you (the defendant) are aware that the cocaine was present and that you were was able to and had the intention to exercise control over it. Police tend to use circumstantial evidence to prove these cases where a group of people are in a car and each person could have exercised control over the drugs. What are the Penalties for Cocaine Possession in Burlington County NJ? As a third degree indictable felony offense, possession of cocaine carries between three (3) and five (5) years in a New Jersey State Penitentiary as well as a $35,000 fine. Additionally, the court may impose a suspension of your driver’s license and probation. These penalties are subject to enhancement depending upon any other charges that may have been filed against you like Distribution of Cocaine, CDS in a motor vehicle, Cocaine Distribution in a School Zone, Driving While Intoxicated (Drug DWI) and various other criminal offenses. To learn more about these penalties and how your prior criminal record could affect the judge’s sentence, contact our Burlington County Office today. Will I Go to Jail for Cocaine Possession in NJ? Generally, first time offenders will be able to avoid incarceration either through plea negotiations or pretrial diversionary programs. Specifically, the Pretrial Intervention Program, the Conditional Discharge Program and Drug Court, all afford a defendant with an opportunity to avoid a prison sentence for a drug-related criminal offense. These programs may not be a suitable option for everyone and we suggest you speak with an attorney before entering into one of these diversionary programs. At Proetta & Oliver, our trial lawyers have successfully obtain dismissals and downgrades for clients charged with drug crimes throughout New Jersey. Do not let one minor mistake or lapse in judgment result in a criminal record or possible incarceration in a New Jersey State Penitentiary. If you would like to come into our office and discuss your options, please do not hesitate to contact us at (609) 850-8284.